You know me; I’m the Breathless Adventurer. My friend Lacey is An Ardent Heart (www.anardentheart.com). Together, we are the Vagabond Girls. We adventure wherever life takes us, and get into some kind of trouble almost every time. I do a lot of raving about Montana and Glacier National Park on here, but I promise it’s for a good reason. The place really is spectacular. We only got to spend about two days there on our trip, and the only reason we could tear ourselves away from the state was because we knew we were headed to Yellowstone National Park next. One of the views you get from Going to the Sun Road. 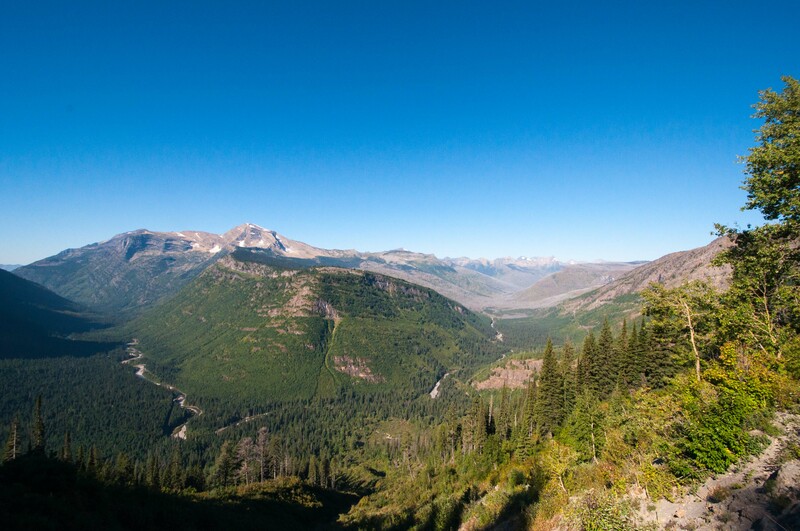 At Glacier, more than 93 percent of the park is wilderness, so it is totally unspoiled. 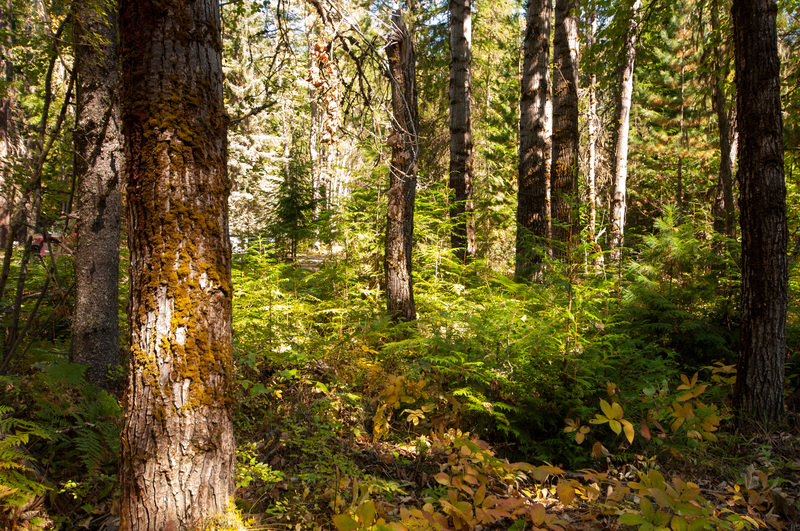 Hundreds of miles of trails cross the backcountry, and the most beautiful parts of the park can’t be seen from a car. I absolutely will to get back to this park to do some hiking once I’m in a little better pulmonary health. I need to see Avalanche Lake and Grinnell Glacier, just to name two, before I die. If you are interested in more about hiking in Glacier National Park I’ve read Hiking in Glacier backwards and forwards. But the way most of the park’s visitors see it is from their car. Going to the Sun Road, so named either because of an Indian legend or a story some guy made up about an Indian legend, depending on who you ask, is a marvel of modern engineering. The road is about 50 miles long and east-to-west across the park. It curls around and cuts through mountains and it hugs cliffs and traverses valleys. It’s a great way to get a slice of what the park has to offer, especially for people who aren’t otherwise able to get out onto some of the trails and experience the park. But, for the love of all that is holy, if you have working legs and lungs, GET OUT AND HIKE THIS PARK. Do it. Do it for me. Do it for yourself. If you have a fear of heights or falling, I’d suggest you lay down in the passenger’s seat while someone else drives. When we – Lacey and I – visited this park we did not hike. It was a travesty. But we didn’t hike because we got robbed of a day’s worth of visiting in the park because of a blown-out tire and incompetent rental car company. We had just enough time for an awesome horseback ride – that I can still feel in my back – and a trip across Going to the Sun Road. It was enough to whet our appetites. We’ve been dying to go back since then. Parts of the road are open year-round, so there is always something to see or do at the park, even if it’s snowing at the upper levels. Just but sure to check the vehicle requirements if you are driving an oversized vehicle on the road because there are some restrictions. If you don’t want to drive, there is a shuttle service that operates in the park and it is included in the price of admission. But enough of the boring details. You can find all of these things out for yourself from the park’s website. For now, I’ll leave you with some meh video of the Crown of the Continent. 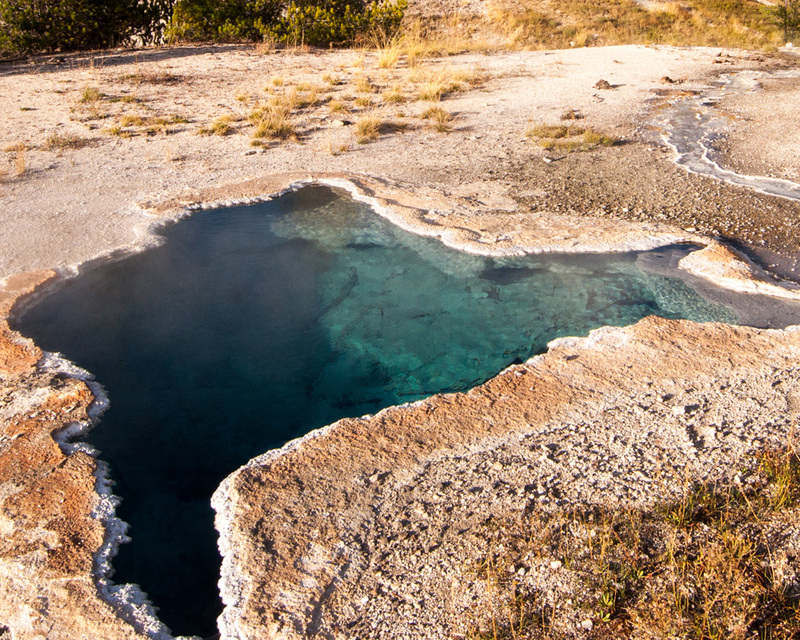 This is one of the many crystal clear springs in Yellowstone. The water is so transparent, you can see several feet down into the pool. This Throwback Thursday is more of a Flashback Friday, but instead of finishing the video and posting this entry last night, I decided to go see the Minion movie. (It was hilarious and adorable, by the way.) But, hey! At least I finally have it finished. It only took two years. In the world of Vagabond Girls adventures, I last left you in Cody, Wyoming, on the last full day of adventuring in our trip cowboy hunting out west in 2013. Spoiler alert: We never found cowboys – or at least not the kind we were looking for. 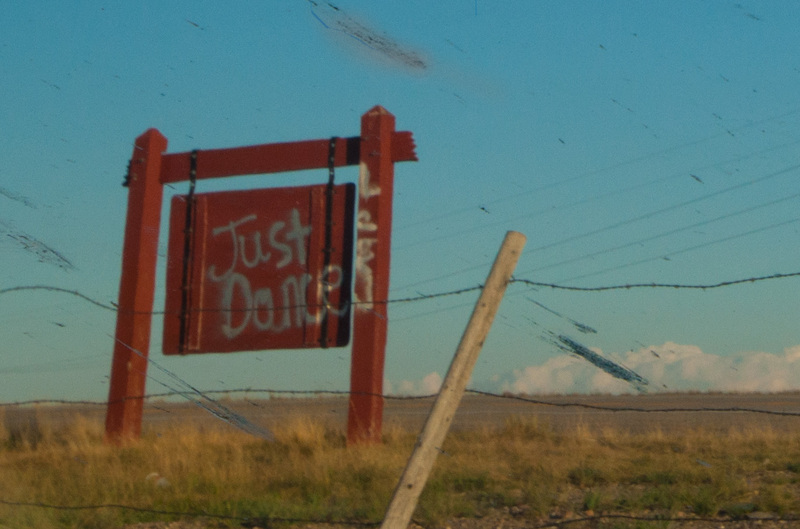 Apparently they go out of season, along with everything else in Wyoming, and Cody turns into a ghost town. The only cowboys we ran into were of the retired variety, and while they seemed to be pretty awesome in their day, we would have preferred to find cowboys still in their day. You can look just about anywhere in the park and see steam rising from the ground. It was the last day of our trip, we had one more day to adventure and then head back to Denver to fly home the next day. Our goals were twofold: To have plenty of time to explore the park, and to get back to town before all the restaurants closed up for the night. We really wanted a dinner that didn’t come from a cooler or a fast food window. The night before, the only place we could find open past 8 p.m. was an Arby’s; everywhere else was observing off-season hours. So remember: If you visit Cody, Wy., after peak season, be prepared for nothing to be open. The day before, we had a sleep-shortened visit to Yellowstone National Park where we got to see some bison and do some light hiking before heading back to town. 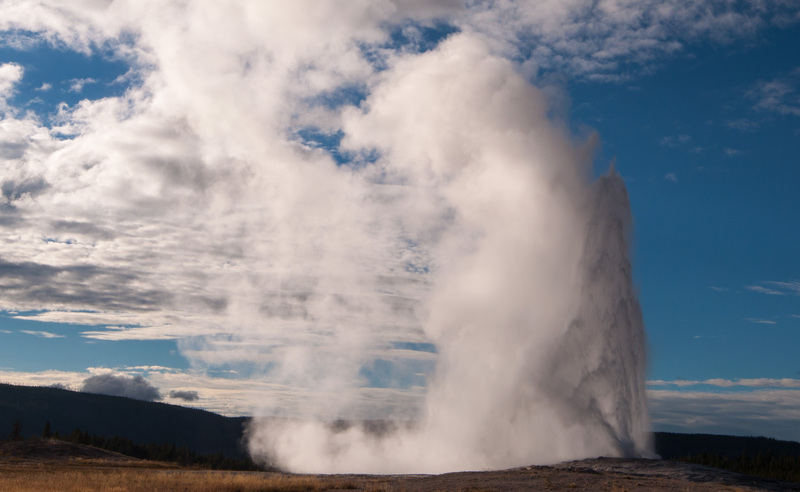 The second day, we got to check out some more wildlife and more of the geothermal spots around the park – including Old Faithful. Old Faithful! This time, I got to see it from the front row with all the other off-season travelers. The last time I visited the historic geyser, it was August and the place was so packed we were practically in the parking lot watching it erupt. Thanks to our off-season vacation, we were able to get front-row seats with the AARP crowd, all of them taking pictures with their iPads. Yellowstone is a place everyone must see before they die. It was America’s first national park and it’s the crown jewel. I haven’t seen all of the national parks, but I’ve seen many of them, and nothing I’ve seen come close to this. 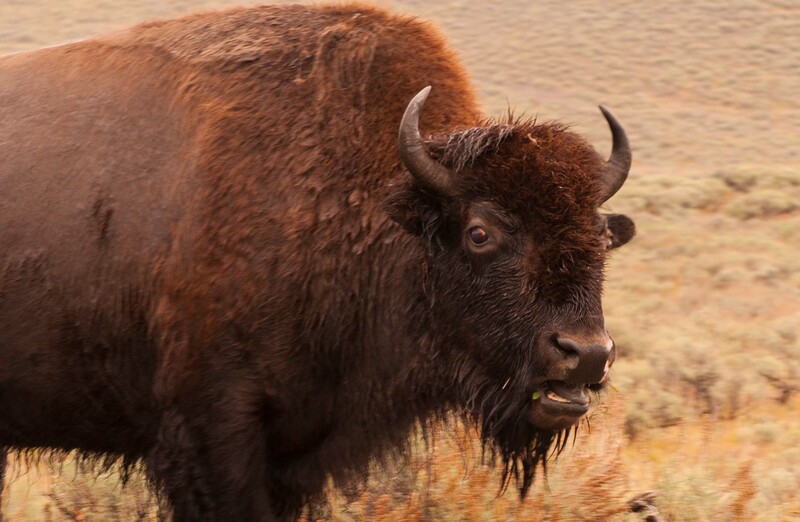 Seeing bison is almost a given at Yellowstone. But don’t be that guy who walks up to them and ends up getting gored. They’re still wild animals, yo. Both times I’ve visited Yellowstone, first in 2010 and again in 2013, I’ve gotten to see bison herds and elk. Once, I saw a moose and antelope. No bears yet, I’m happy to say. As cool as it would be to see one, I’d rather not have to test my survival skills. Then there are the crows, following you around until you are about to lose your mind from the ca-cawing. And of course, the geysers. You could be in the middle of a field of wildflowers, and a vent will be right next to you, spewing steam into the air. It’s a constant reminder that under all the beauty, a wild, uncontrollable force continues to shape the land. Every year I go on a camping trip with some friends from college. And every year, disaster strikes. If any of you reading this ever worked in college media, then you understand when I say if you come out of working the newsroom with friends, they’re keepers. There are few things that can bond people the way newspapering can, except maybe a combat zone. No disrespect to our soldiers, but that is exactly what I felt like I was in most days. It was a game of intrigue, never knowing who was really telling it true and who was using us to meet an agenda. And it wasn’t that every step was treacherous because I never knew what was going to set off a land mine – I knew every step was a land mine. It was just a matter of managing the explosions. The only people I knew I could count on were my brothers and sisters in arms, but at times even that was a small group. So when I say that my friends and I have been through a lot together, former college journalists understand. Still, the newsroom did not prepare us for The Annual Camping Trip of Horrors. These camping trips have become the stuff of nightmares, with treacherous raccoons, deadly waterfalls, and hikes of doom. Through all these shenanigans, we’ve gathered some great stories and learned some hard lessons. 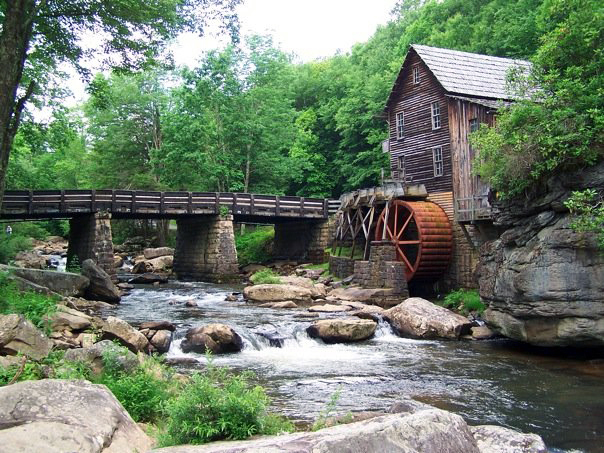 The Glade Creek Grist mill was rebuilt in 1976 in Babcock State Park. Its summertime! You know what that means? Shenanigans. All day. Every day! Summer is finally here! It’s been so great not having to deal with cold, crappy weather. Even the rain this spring hasn’t been so bad, or at least it hasn’t interfered with my plans too much. But on the occasion when I am cooped up, or in the evenings at home, I’ve been planning some projects for the summer. Usually, I try to stay away from previews on this blog – it’s part of managing expectations. I don’t like to make promises and then not deliver. However, I’m super excited about this summer, and some of the adventures I’m about to introduce have already started, so I’m confident I’ll get through them this summer. 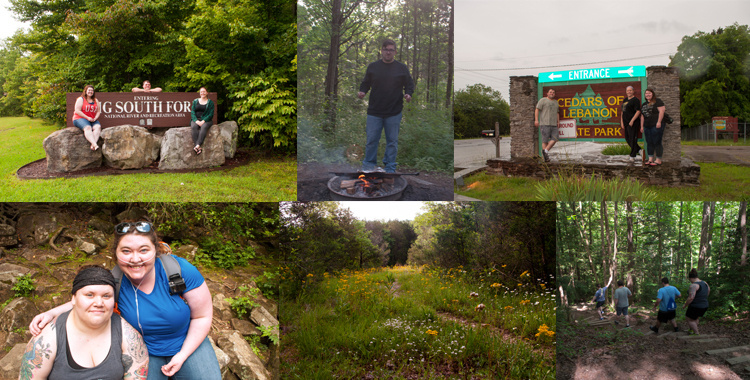 Without further ado, I present to you my summer adventures! I try to keep my nerd hidden, but sometimes it slips, usually when it comes to historical things. History was always my favorite subject in school; I’m fascinated by how it overlaps with everyday life. I see history in layers. Where I am right now is one layer, but if you peel some back, you’ll find my apartment gone and just a wild, land filled with Indians, then Simon Kenton and Daniel Boone. Right now, the layer I’m fascinated with is the Underground Railroad and Civil War. The Ohio River was a main thoroughfare for escaping slaves, and subsequently there are many Underground Railroad stations in the area. Of course, Kentucky’s strategic geographical location made it the location of several Civil War Battles, so there is much history to explore in Kentucky as well. Over the coming months, I’ll be exploring as many of these locations I can find. In the meantime, if you have a suggestion of somewhere to check out, please leave it in the comments. I have a huge list of places to visit, but I know I haven’t found everything. So I have a slightly different rating scale that’s handy for other cripples, like me, or people who just want to know how easy or difficult it is to navigate a certain area. Last year, before my body broke down, Lacey and I were working on starting a joint blog project to document our adventures. We met up at The Highland – a great coffeehouse in Clifton – bought a domain, set up a blog and started working. Then life intervened, and we realized it would just be better to keep the Vagabond Girls theme, but make it separate sections on our respective blogs. She’s working on getting her blog revamped and relaunched – with some nagging from me – and I can’t wait to read her musings on the world. We have several smaller adventures in the works this summer, but we’re also working on some bigger ones a little further in the future, including a driving tour to Alaska and eventually to the tip of South America. I like to commemorate moments in life. Maybe it’s because I am the oldest in my family and every second of the first three years of my life is committed to film by doting parents, grandparents and aunts. There are albums full of pictures from the big moments – like my first birthday or my first day of school – and the everyday moments – just sitting in the floor playing. And that was before Papaw bought a camcorder – you remember those 40-pound behemoths that threatened to dislocate your shoulder and recorded to VHS tapes? Maybe that’s why I have a weird habit of recording the most mundane of activities. When I’m with friends and family – whether it be one of countless family BBQs, a standard girls’ nights on Karli’s couch, or an epic adventure in a faraway land with Lacey, I like to take a second to sit back and savor the moments just spent with my people. But even with all my vigilant watching and moment absorbing, things still slip by unnoticed. That is, until years later when I look back and finally realize how a series of seemingly small – and extremely annoying – events quietly helped build a friendship. The year was 2007 and I was a college sophomore travelling to Washington, D.C., for the first time. I was there for a student media convention. I think I was supposed to attend more of the conference and see less of the city, but I still learned much and more. I had never been in any city except Cincinnati. There is no comparison. I was in awe of the Metro – how awesome is it to take the seemingly endless escalator underground at Dupont Circle, board a train and re-emerge across town just minutes later?! I paid for cabs (like a rookie) and frustrated the drivers by always forgetting to specify “Northwest” after “Connecticut Avenue.” And I absolutely got into a cab with no cash and had to ask to stop at an ATM. I walked the Mall for the first time – comically mistaking the “National Mall” for a shopping mall when invited to join a group. Imagine my surprise when we exited the Metro station in the middle of a field with the Washington Monument looming over us. I saw the monuments for the first time late on a rainy night with mist rising from the earth. That is still my favorite way to see them. Of course, that rain persisted throughout the entire weekend we were there. But did I let that stop me when my quiet, photographer roommate asked me if I wanted to leave at 6 a.m. to go with her to work on a photo contest assignment? Absolutely not! Back in those days I had been on staff at the student newspaper for only a few months. I only really knew two people and the photo editor wasn’t one of them. She was the girl in the other room – the fun, less stressful room farther away from the editor-in-chief. I knew the photo editor’s name was Lacey and she almost always wore Chucks and a Canon. I was the Newb and she was the only member of the creative staff there – and college newspaper workers can be incredibly cliquish – so we got roomed together. This meant that we were largely overlooked by the rest of the group, which was pretty all right by us. We’re both totally fine left to our own devices. Knowing her now – and knowing myself – it shocks me that either of us was up and anywhere before noon, let alone at 6 a.m. I still remember her saying I remind her of her mom because I got up super early to make sure I had time to blow dry my hair and put on makeup. Yes, just to go out in the rain. I used to care more about what I look like. So with Lacey in a red hoodie and me in my favorite grey “Baseball Hall of Fame” hoodie, my kangaroo pocket stuffed full in lieu of carrying a bag, we hopped a cab and set off to enjoy the day. Not even when I stepped out of the cab into an ankle-deep puddle and not even when my head and shoulders were soaked and my feet ached from walking and were shriveled up from the water in my shoes, did my spirits dampen. We spent a great day walking around the city, unbothered by anyone and quietly getting to know each other. And then I realized my phone was missing. Remember the Cherry Chocolate from LG? A cute, little, red, brick-like phone that slid up to reveal a keypad and was designed to be a great music player? I loved that phone. It had these touch-sensitive “buttons” on the front that were just ultra-cool to me. When I realized it was gone, I just figured it was wrapped up in the blankets on the bed back at the hotel. Nothing to worry about. Lacey completed her assignment; we stopped at McDonald’s – McDonald’s! in a great foodie city we got McDonald’s? – and got back to the hotel. As we were peeling of layers of rain-soaked clothes, the phone rings. So while I was traipsing about DC, my parents were hoping and praying I hadn’t been abducted and sold into human trafficking. Mom, in the way that only mothers do, turned into some kind of crazy investigative reporter and found information on my desk that I didn’t even know was there, located the hotel and notified the police officer who found my phone in the same water puddle that I stepped into while exiting the cab outside the Washington Monument. So the one connection Lacey and I had to the rest of our group was cut. We were on our own. Did we care? Nope. We went to a few more sessions at the conference and spent the rest of the time exploring the city and watching “Law and Order” reruns while trying to finish class assignments. She showed me how to navigate the Metro, helped me buy my first train pass and introduced me to Thai food. Without realizing it, we had forged a friendship. When I think about it, that first trip to DC was a foreshadowing of things to come. We live to travel. We’ve taken several trips together since then, and every time something crazy happens. In DC, I lost the only cell phone we had between us and we were left to our own devices for a weekend. In Montana, we got stranded on the side of the highway, hopeless but for the kindness of strangers. We’ve set up camp on a flood plain, with the campground’s owner recounting how the spot we were pitching our tent was submerged just weeks before – but we left before the thunderstorms rolled in so we didn’t wake up floating in our tent down the Red River in Kentucky. Then we decided to trek downhill for an unknown number of miles at the Natural Bridge in Kentucky, thinking that we could get back down to our car that way. Then we ended up having to climb back up in a 110-degree heat index without any water and almost keeled over from heat exhaustion. And our friendship today has the same easy grace that it had when it began – even during my awful year when I didn’t know who my real friends were. So after seven years of little adventures, the next logical step is to take one gigantic, huge, ginormous adventure, right? We’re both wrapping up our 20s and we’ve done our time in college, racked up the obligatory, financially-devastating student loan debt and been productive, cubicle-inhabiting members of society. I think I’m safe in admitting that neither of us is very satisfied with this arrangement. So, what are we going to do about it? My number one bucket list goal has always been to visit all 50 states. Number two is to circle the world, starting with Europe for my thirtieth birthday, if I hadn’t made it before. Today, I’m 365 days away from that deadline and I’m itching to go. And guess who has the same milestone birthday next year? That’s right: Lacey! Next year, we are planning a three-week trip to Europe, but we’re buying open-ended tickets. I think I’m safe in speaking for both of us when I say that we’re tired of living our lives at the mercy of someone or something else and we want to enjoy this life before we’re too old and decrepit to leave our wheelchairs. So my birthday present to myself is going to be freedom. My student loans will still be there waiting for me when I come back down. Lacey and I have had separate blogs with differing purposes for the last several years. Over the coming weeks, we’ll be launching a joint travel blog. I haven’t been this excited about a project since I started my own little newsletter when I was a kid. (Yes, I’ve been an unabashed nerd my entire life.) We plan to start working together to chronicle our journeys, building up to the Grand European Adventure. Once we get on that plane next year, I’m going wherever the wind takes me, student loans be damned! I hope you will follow along with us on our adventures. 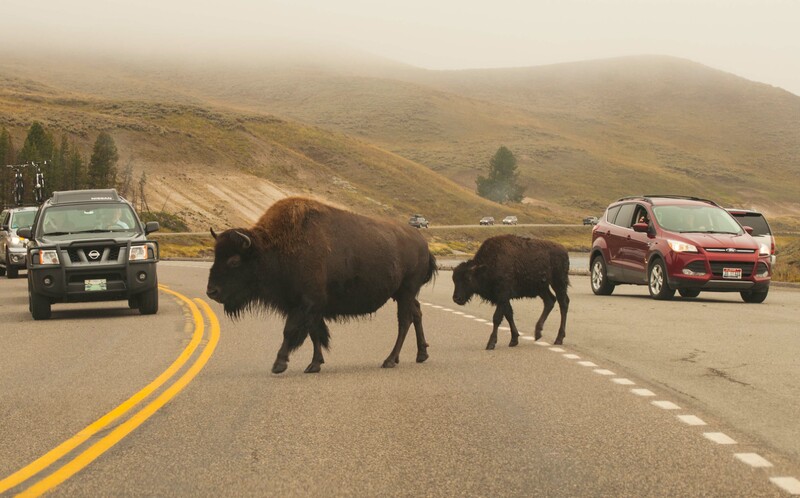 These lumbering giants gummed up traffic while we were at Yellowstone National Park. After our white-knuckle trip into Cody, Wyoming and a 2 a.m. arrival, we slept in. For the first time on the trip we weren’t worried about covering miles, making up for lost time or being stranded. That day, all we had on our agenda was exploring. Cody is about 50 miles from the east entrance of the park, so we had an hour-long ride through some breathtaking Wyoming scenery a Big Boy statue – that we never did get a picture of. He was just hanging out near the road, double-decker burger and all. When we arrived at the park the weather was a little … unexpected. We’d prepared for the trip expecting Glacier to be cooler than Yellowstone and it was actually opposite. The weather in Montana couldn’t have been more perfect. But in Yellowstone, it was raining — pouring at times — and the cheap fleece I was wearing did absolutely nothing to keep me dry. After our first stop, which was a half mile hike from a parking lot to a restroom, I was already soaked. Memo to myself: Pack for rain next time. 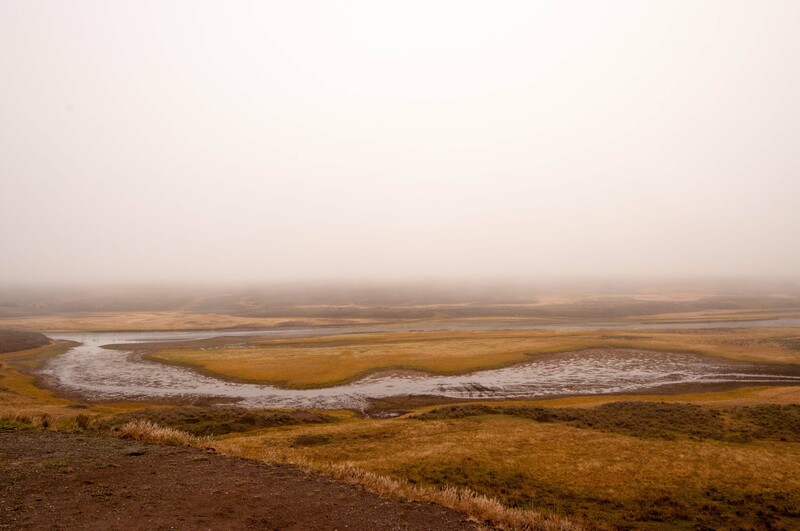 Yellowstone greeted us with a spooky fog laying heavily on the land. The morning’s cold rain created a dense fog over the park that blocked most of the hilltops and restricted our view. It gave the park a surreal, almost spooky feel. It didn’t take long for the rain to let up and we decided to hit one of the trails and try to see some geysers. The trail didn’t lead us to any geothermal curiosities, but it did give us the opportunity to practice karaoke hiking — that is, our own soon-to-be-patented method of not sneaking up on bears, or any wildlife for that matter. We serenaded the Wyoming wilderness with “Colors of the Wind” from Pocahontas. And when I say we, I mean Lacey did most of the singing. I probably would have gotten us mauled. One my least favorite things about going to parks is people stopping their cars in the middle of the road to take pictures of wildlife. Because that deer they see out in the middle of the field is so different than the ones that dart across the road back home. 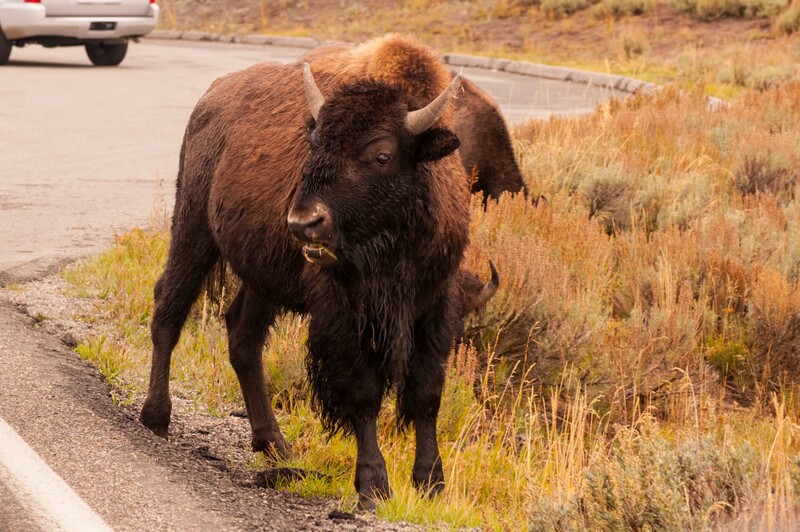 Lucky for me, the traffic jam on Main Street, Yellowstone National Park was a bison herd ambling its way across the road. And before you ask, no. I was not one of the people weaving my way through the herd. I have a little bit more respect for wild animals with horns (and brains in my head) than to try to get this close to them. Thank you, but I happen to like not being gored and I’m too clumsy to have to run for my life. I stayed in the car and still got eyeballed by a muncher on the shoulder. Generally, I don’t want to be making eye contact with something that has horns that large. If you are an unfortunate person who hasn’t had the opportunity to see bison up close and personal, I’m sorry. They are beautiful beasts. You could call them bigger, furrier cows, but that’s deceptive. The animals’ size makes it seem as if they can only lumber along at a glacial pace, but they can actually run at speeds up to 35 miles per hour. They’re kind of like that big, hulking football player you see in a line of scrimmage that looks like he’d be better suited at a table with a steak in front of him. But as soon as that ball snaps he turns into a graceful athlete, weaving through the other players and spinning down the field. That’s what a bison is like. The Discovery Channel has a clip on YouTube of a cow defending her calf from wolves, and even though its a real nail-biter at times, it’s surprising to see how agile she is. This herd was the first of two we got to see at Yellowstone. The other herd was a safe distance away – way out over the plain and across the river. Though you can’t see them in this picture, there were some people standing on the sides of the road where the bison were crossing. I applaud their idiocy. Fortunately, we didn’t see any bison attacks. Because of all our lazing around we didn’t get to see much in the park that day. 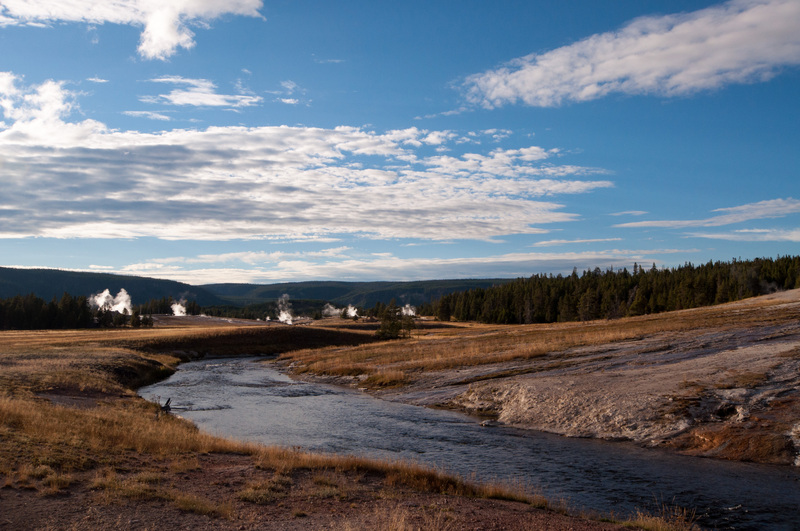 Just the bison and a few of the thousands of geysers in the park. We left in the early evening looking forward to a big, hearty meal fit for a cowboy coming in from a cattle drive. We’d been living mostly off sandwiches and snacks we kept in the car and hadn’t stopped for a really good meal in days. The first thing we noticed when we got back to the town is how dead it was. I mean, it wasn’t particularly hopping when we left in the morning, but things were open and places were busy. It was just after 8 p.m. when we tried getting into a barbeque restaurant. It was on “winter hours” and closed at 8 p.m. There’s even a Cassie’s Steakhouse — kitchen no longer open when we got there. By this time, we were starving. The Wendy’s lunch we had on our way out was long gone and I won’t lie. Lacey was starting to look a little bit like a T-bone steak. We gave up on good food and just tried a Dairy Queen. They have decent enough food and ice cream to boot. We walked into the dining room and waited at the register while several workers passed by, looked at us and never stopped to take an order. Completely disheartened, or maybe that feeling was just the low blood sugar, we got Arby’s and took it back to the hotel room. To see more photos from Yellowstone National Park, check out my Flickr account. This picture of a road was lifted from video in Wyoming. At least this road had reflectors on the edges, we didn’t even have that on the way through Montana. You’ll need one part wild west, one part white knuckles and a whole lotta darkness. I got a surprise late Christmas gift this year when I changed the memory card in my camera and found a few hundred more pictures from Yellowstone National Park. Talk about excited! But, it also reminded me that I hadn’t ever finished posting to Flickr or blogging about the rest of the trip. Life intervened. But, let’s see if I can sum up what’s left of the trip. I could go back and gush about Glacier National Park some more but I’ll move on. I still pull out the photos from that part of the trip and flip through them about once a week, drooling and wishing I could just pack up and head back to Big Sky Country — for good this time. But that good thing came to an end and we started on the last leg of our trip: Wyoming and Yellowstone National Park. The drive was to be another long one — our last, thank goodness. So we got an early start, knowing we’d be racing against the Montana darkness again. I think this will be the third time I marvel at just how dark a place can be. Thankfully, we had an uneventful day of driving. No blown out tires, no getting lost, no hitting wildfires. Just crossing Montana country heading to the state line was quickly as we could. The quiet gave me the chance to get some school work finished — because going back to school for a different degree seemed like a good idea at the time — and so Lacey gave me a break from driving until the sun set. And then the fun began. 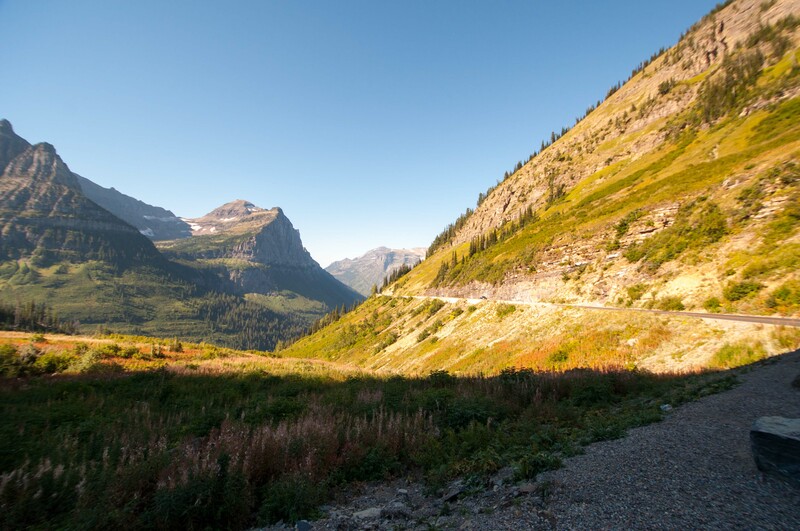 For all we knew, the road we were driving was on the side of a mountain, like this part of Going to the Sun Road in Glacier National Park. Imagine darkness. I bet your imagination conjured something with faint outlines of objects, maybe a sliver of light under a door. Now, take that away. No more outlines, no more shadows. Now, as you adjust to that darkness, take it down another notch. You can’t even see the hand in front of your face. The darkness takes on a life of its own and you can feel it pressing in on all sides of you. It is terrifying and inescapable. That’s the kind of darkness I’m talking about. 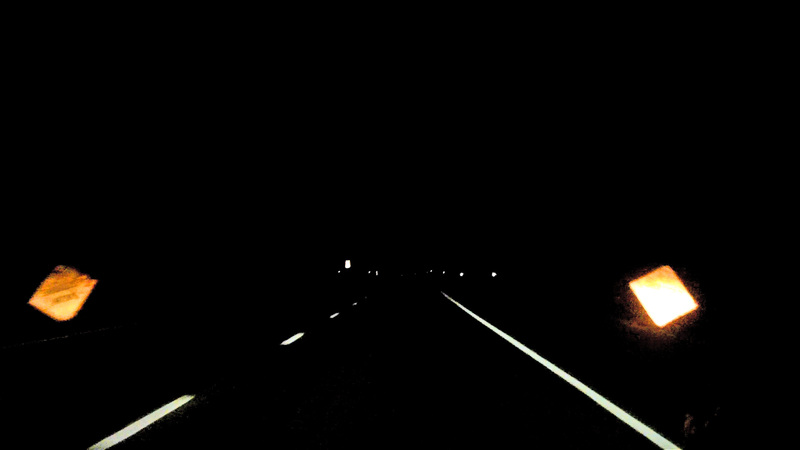 Its a darkness I would welcome if I weren’t trying to cover almost 400 miles and knew what it felt like to be stranded on the side of the highway. The beautiful thing about not having a big city or any other kind of suburban civilization nearby is you don’t get light pollution. When the sun sets you only have the light you carry with you. In this case, that’s my headlights. So, I can only see maybe 10 or 20 feet in front of the car at all times. I can’t tell if there’s a curve or an animal up ahead until I’m up on it and there’s nothing I can do about it. Fortunately, there were no animals. But there were some tight, winding curves. The kind of curves you would encounter when you are driving along the sides of mountains. But we couldn’t tell what kind of geology was around us, and that made it still more terrifying. I’m here to tell you that that old saying that goes something like dim lights shine brighter in the darkest night just isn’t true. The darkness eats the light until there’s nothing left. So I did the only thing I could think of and drove with my brights on for about 200 miles. Our only companions were your friendly, over-the-road truckers, whose headlights in my rear view, and then side view mirrors as they passed me, only contributed to the blindness. We discussed calling the hotel, letting them know we’d be a day late and staying somewhere on the road, but my stubborn streak kicked in and I wanted to keep pushing through. We’d already lost a day, I refused to give up any more of my vacation. On we went, knuckles white and eyes open wide with adrenaline and No-Doz. And about the time we crossed the state line and reached Wyoming, Lacey started staring at the sky. She said something along the lines of, “If you can, you may want to pull over and get a look at the sky.” On the side of a county road leading to Cody, Wyoming I beheld the most beautiful night sky I’d ever seen. I’m sorry I don’t have any pictures of it. It was a swirling mess of galaxy and glittering stars with a violet-black backdrop. We stayed, me leaning on the side of June, until a car started out of a nearby driveway. Then we moseyed on down the road to the Big Bear Motel. Featured image of the Orion Nebula courtesy of the Smithsonian Institution via Flickr Creative Commons. Glacier Nat’l Park: Worth It. What. A. Week. I’ve recently begun getting a Mary Kay business started (I’m an independent beauty consultant now, yay!) and between that and schoolwork, my week has been eaten up with doing everything but working on my blog. Except for that day I made an outline of the rest of the posts for my vacation and then accidentally posted it. It took me about 24 hours to realize it was live before I pulled it down. So if you saw something with a lot of typos that didn’t make any sense, it was a complete booboo. I think I left off when we finally made it to Whitefish, Mont. We made it through the epic tire blowout, the stranded in Billings and part one of white knuckle driving through Montana. (Look for White Knuckles Part Two in the next post or two.) First off, let me tell you we loved the Cheap Sleep Motel. It is cheap as in price, and definitely not a luxury hotel, but the reviews were right when they said it was clean. With its cinder block walls, I kind of felt like I was back in elementary school. But my elementary school didn’t have better Wi-Fi than the Microtel we stayed at in Cheyenne or a bigger flatscreen TV than just about anywhere else we stayed. Or an understanding staff that worked with us when we were stranded and a day late for our reservation. Did you know Glacier is a rainforest? I didn’t until I got there. So, finally, we made it to what we realized is our holy place: Glacier National Park. We were able to move our reservations with Swan Mountain Outfitters from Monday to Tuesday, albeit we lost our Cowboy Cookout. Instead, we had a two-hour ride scheduled in the afternoon. So, in the morning we decided to take a little time and check out Flathead Lake. We wanted to venture down to Wild Horse Island State Park, home to – you guessed it! – wild horses and bighorn sheep, but with all the hangups we experienced in the trip to that point, we were just worried we’d never make it to the corral. So we just took a short walk around part of the lake, got a few pictures and headed out to Glacier. Let me just tell you right now that if I had to go through everything on that trip again just to get to Glacier, I’d just about do it. That being said, next time, we’re still flying into Missoula anyway. 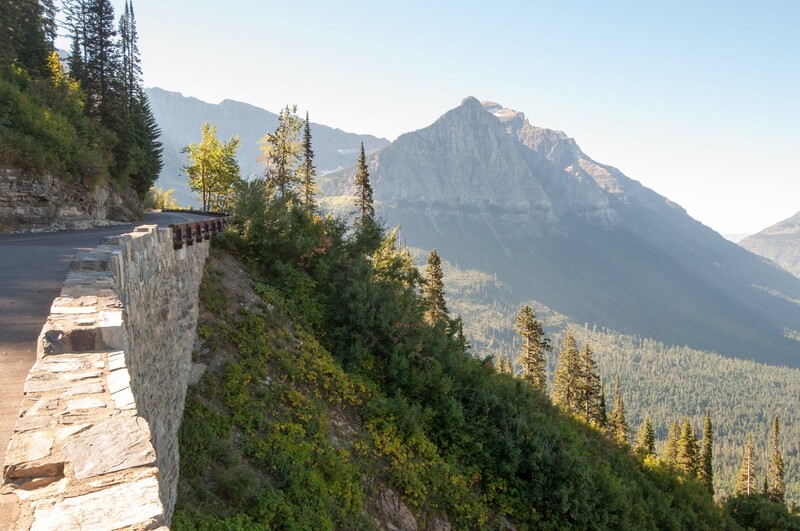 The most accessible way to see the park is to take the Going to the Sun Road that divides the wilderness into northern and southern parts. 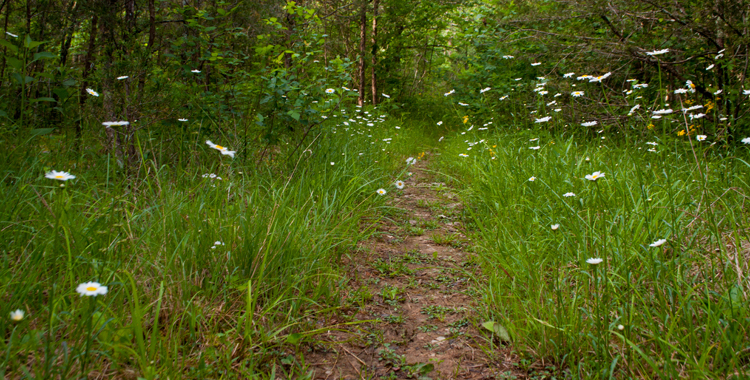 But to truly experience it, you have to get on some of the miles of hiking trails into the back country. Sadly, we didn’t get the time to get off the beaten path this year – remember we lost a day to car trouble early in the trip – but Lacey and I are both doing our best to get back next year so we can hike out to Iceberg Lake, among other places. That’s right, pictures of rocks and water. I’m mesmerized by clear water (I’m used to the Ohio River!) 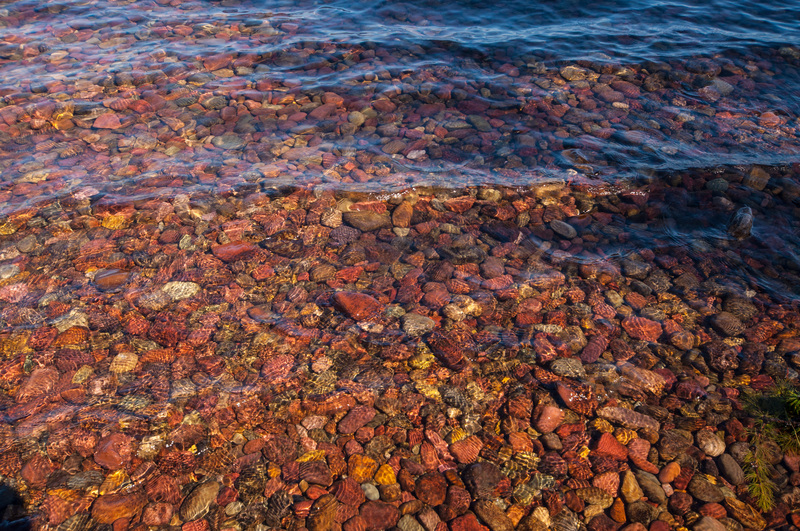 and I can’t get over how pretty the rocks are in McDonald Lake. Even though my explorations in the world are admittedly limited, I can’t imagine a place closer to heaven. We didn’t have a lot of time for sight seeing before our ride, but we did get the chance to stop at McDonald Lake. A picture is worth a thousand words, so I’ll just direct you to the photo at the top of this post to see what I mean. I had never seen water as clear as Flathead Lake until I saw Lake McDonald. You could look out into the water and see, in detail, the rocks lining the bottom of the lake, and see the line under the water several feet out where the lake went from inches deep to a seeming abyss. I’ve never seen anything like it. 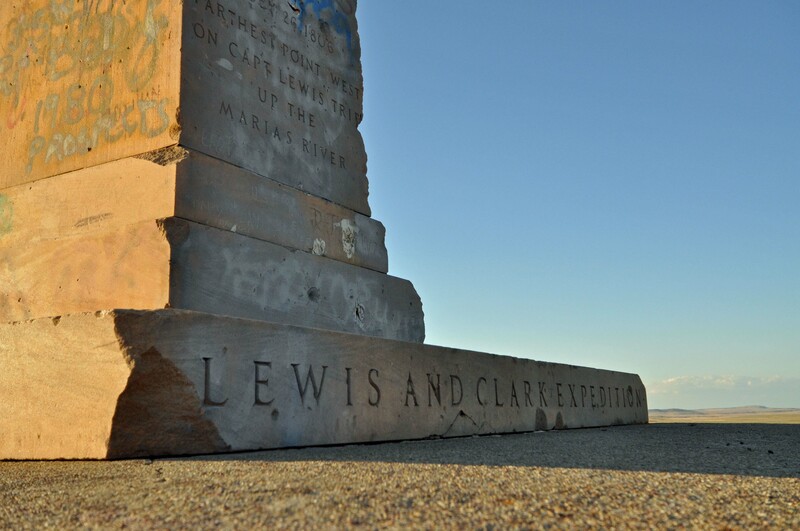 One of the few touristy stops we made along the way to Glacier National Park – a memorial to a Lewis and Clark Expedition. And no, I don’t know more details than that. I’m a little rusty on my expedition trivia. Above photo: The memorial was surrounded by pasture and railroad tracks (and broken beer bottles). These horses were grazing a ways out in front of the monument. Well, we were supposed to be headed to a Cowboy Cookout with Swan Mountain Outfitters in Glacier National Park, but day three dawned with me making a waffle in a hotel lobby while wondering when we’d get out of Laurel, Montana. Not that we had anything against Laurel – its a lovely place. That’s where we met Mike and Tina of Allstar Towing and the staff at the Locomotive Inn. I still can’t say enough good things about everyone we met in Montana. Even our cab driver on our way to the airport was charming. He told us all about the rims (the sandstone land formations that surround Billings) and the suicide cliff outside the city. The story goes that a group of Native American braves rode their horses off a cliff in the midst of a smallpox epidemic to try to please the gods and stop the sickness. It’s kind of a heartbreaking story. Now, we made great time and few stops along the way to sight see. Lacey and I have a tendency to get wrapped up in exploring and photographing an area and before we’ve realized it, we’ve blown at least two hours. Its so easy to start looking through a lens and lose all track of time. But despite our frugal time spending, we lost our race against the sun. Before we knew it we were plunged into darkness going through Montana wilderness. I guess the benefit of this is that Lacey’s whole fear of falling off the side of a mountain didn’t kick in because we could see nothing. I may have mentioned the Montana darkness in a previous post, something about black. Nothing but black. And white knuckles on the steering wheel. This photo is a freeze frame from one of my favorite lightning strikes from the Wyoming lightning storm. We didn’t know it at the time, but this storm on our first night was a precursor of things to come on the trip. Before there was the blowout, there were the storms, We didn’t know it on day one of the trip, but storms were about to become a major part of our life. After we landed in Denver that first day, we needed to cross about 1,026 miles – about 15 hours of driving – to get from Denver to Glacier National Park. We decided to spend Saturday knocking out about half of that drive time. Our fist pit stop: Sheridan, Wyoming. We covered about 435 miles and landed in Sheridan, Wy. that night to sleep. Along the way we saw some beautiful scenery and watched a storm come from the mountains and blow across the highway in front of us. (You can see more pictures in my flickr account.) But the best part of the day was driving into the lightning storm. 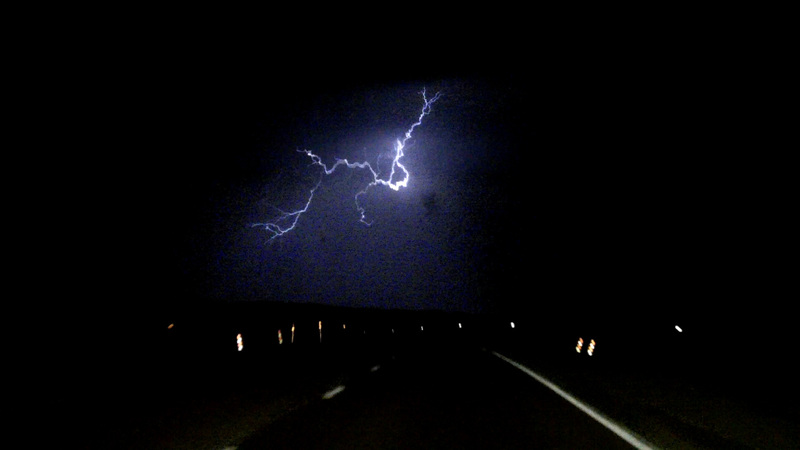 Of course at that time we didn’t know that driving in and around storms was going to be a recurring theme of the trip, but watching the lightning show was truly a beautiful sight. I made a video montage of the best shots I was able to get, complete with commentary from Lacey and I, and a sample of our playlist from the trip. I just want to note that trying to catch lightning on video is like trying to play Whack-A-Mole. The lightning strikes felt like they were surrounding us – really they were on three sides. Just when I’d think I’d have a good idea of where the most activity was, it would all switch up. We watched the storms for hours, but I only got about five or six decent shots of actual lightning bolts. There were white markers around the battlefield to mark where soldiers fell. This group was in a line that ended in the walking path. Day two of the trip dawned bright, clear and full of promise. We left Sheridan early and stopped at the Little Bighorn National Monument, the scene of Custer’s Last Stand. The area, like the rest of the state, is undeveloped and it really isn’t hard to look at the landscape and imagine what happened that day. 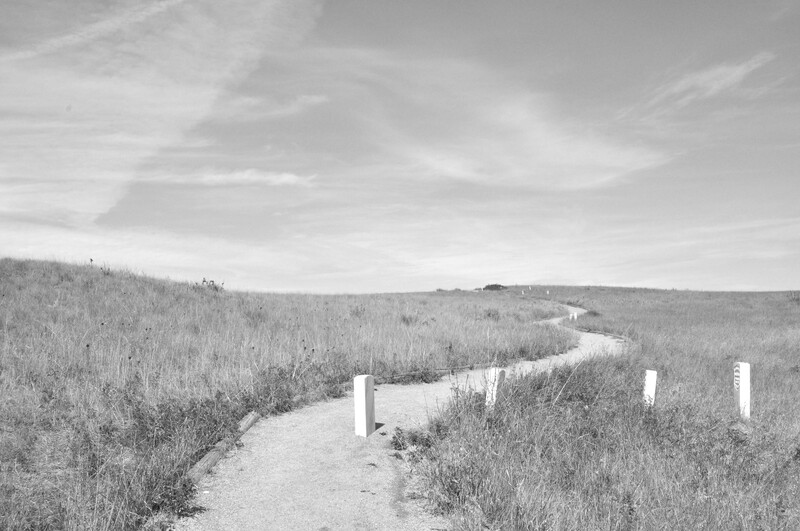 The trail leading visitors around the battlefield and the markers that show where soldiers and warriors fell also help illustrate the scene. Plus, there is a tour guide who can be heard around the entire battlefield. So even if you aren’t in the tour or don’t want to hear it, too bad. You’re getting the story anyway. 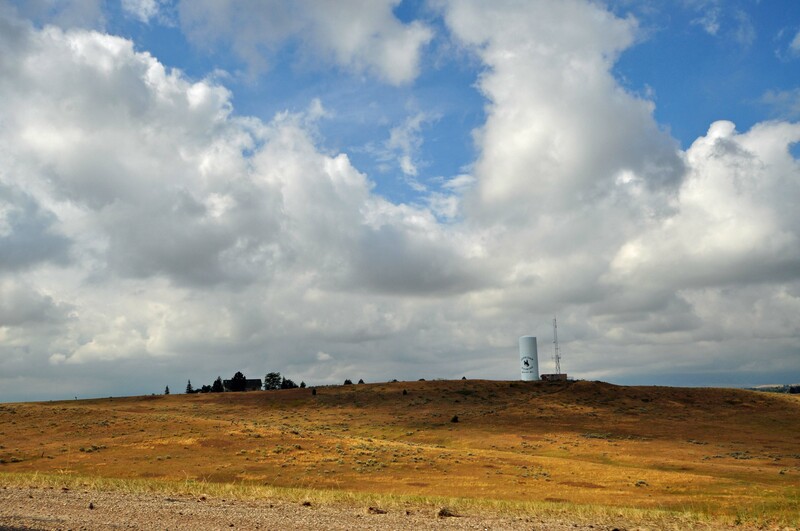 The Little Bighorn Battlefield National Monument sports a new memorial to the Plains Indians. Its still under construction and when complete the walls inside the circle will showcase various native symbols and carvings. A new project that I’m excited about is a memorial for the Plains Indians. 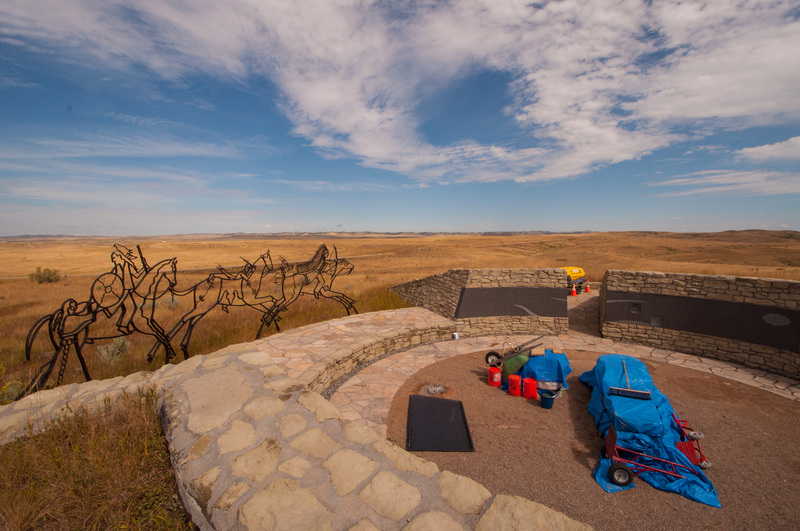 The metal cutouts of Native Americans on horseback are already there but there are still carvings to be done on the stone walls inside the circular monument. I’m excited to go back and see it when its complete. After we got through all the fun times of the day, we were ready to put the hammer down and knock out the remaining seven hours of driving we had left to get to Whitefish. That was about the time I saw the tire going away from the car and, well, you know the rest of that story.